SPRING BONUS: Free Blinds. 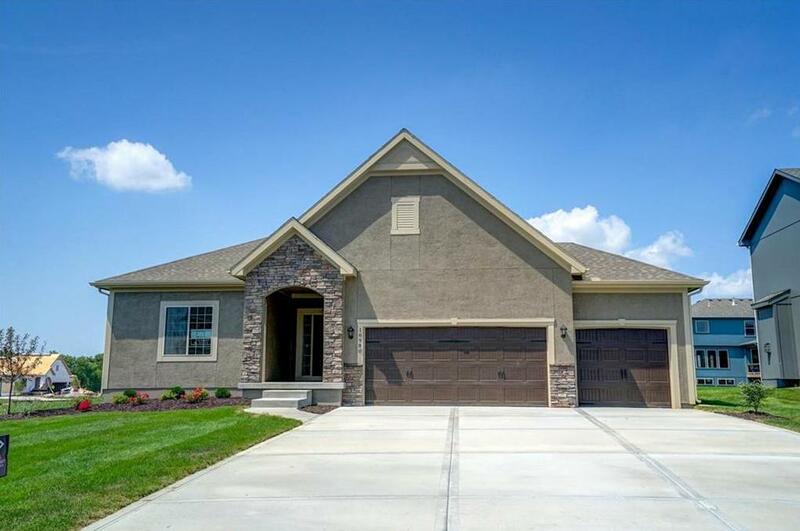 Carbondale by award winning Summit Homes. Huge Ranch with finished basement at an unbelievable price! This home as it all from Granite countertops throughout the home, Kohler Alteo ORB plumbing fixtures, floor to ceiling stone fireplace, wood flooring throughout entry, kitchen, and great room, lower level finish that includes full wet bar with wine fridge. This home will not last long with these finishes. MOVE IN READY!! !See blind details online or in the Model. Video of model home. 16980 S Heatherwood Street (MLS #2106250) is a traditional single family home located in Olathe, KS. This property was listed on 05/10/2018 and has been priced for sale at $434,389. Nearby zip codes are 66021, 66061, 66220, 66221 and 66224. This property neighbors other cities such as Edgerton, Gardner, Lenexa, Overland Park and Spring Hill.